Discover your rights and responsbilities when it comes to air conditioning in a rental home in this article by Lisa Oram and originally published by Furnace Compare. What are a tenant’s rights when the air conditioning breaks? If the AC in your apartment is on the fritz in the middle of summer, you probably want it fixed yesterday! A few sleepless, sweaty nights will do nothing for your mood when negotiating with the management; however, before you lose your cool completely, be sure to know your rights. Is air conditioning an amenity or a necessity? Can you fix it yourself and deduct the cost from your rent? Who do you call when the landlord just doesn’t respond? The fact is that landlord/tenant law is complex. To answer any of the questions above, or others that may come up in a particular situation, you must delve into complicated legal territory. The information that follows gives a basic understanding of what’s at stake and points you in the right direction. What are your rights when it comes to air conditioning? Even though heat waves may not make front-page news as dramatically as do earthquakes or hurricanes, extreme heat can be a dangerous killer. The Office of Climate, Water, and Weather Services at the National Oceanic and Atmospheric Administration (NOAA) reports about 175 Americans die from heat-related conditions in a normal year. 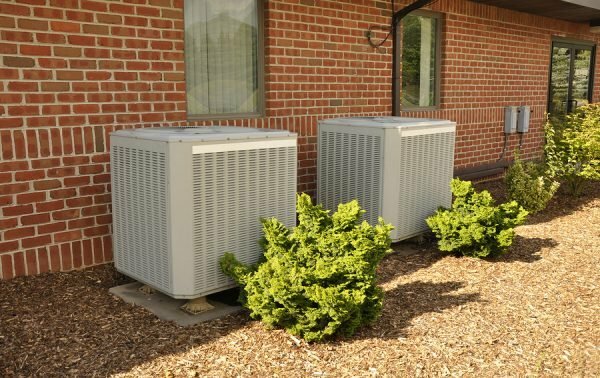 In Houston, where summers are extremely hot and humid, Andy Teas, Vice President of Public Affairs for the Houston Apartment Association, a trade association representing property owners, management companies, developers, and other related professionals in the rental housing industry, says “virtually 100 percent” of apartments come equipped with central air conditioning. Teas also notes that changing federal energy guidelines make air conditioning repair more difficult than it used to be, making it difficult to find the right fit for anyone looking for experienced commercial air conditioning experts without paying an arm and a leg. “You can’t just replace a part or squirt in some Freon,” he says. More often these days, the newer, more efficient parts require changing the compressor or making other major changes to upgrade the entire system. The relationship between a landlord and tenant is governed by the state in which you live. As a result, every state is slightly – or significantly — different. Like with divorce and car accidents, don’t assume what is true in one state holds in another. Get the facts. The consumer protection departments of many state governments offer some user-friendly information about landlord-tenant law. Searching landlord tenant law on a state government homepage will usually lead to some helpful information. In addition, searching tenants rights + [the name of a city or state] in a general search engine like Google will also turn up relevant resources. Finally, the US Department of Housing and Urban Development has an interesting list of resources by state. In addition to state law, cities can regulate rental practices through municipal ordinance. In the state of Wisconsin, for example, landlord tenant practice is governed by several different administrative statues. Wisconsin as a whole does not have a large renter population, but in the city of Madison, where the majority of residents are renters (US Census, 2000), there is an additional set of codes that make tenants’ rights stronger. In Madison, landlords pay interest on a security deposit; in Oshkosh, any interest earned stays with the landlord. Often a habitable residence is described as one that includes hot water, flushing toilets, non-leaking roofs and walls, heat, doors that lock, and a place to dispose of garbage, among many other things. Habitability is based on safe, sanitary, and secure living conditions; it does not mean perfect or aesthetically pleasing. And, as noted by attorney Kellman above, it does not include air conditioning. A lease is a written document stating the terms of a rental agreement. 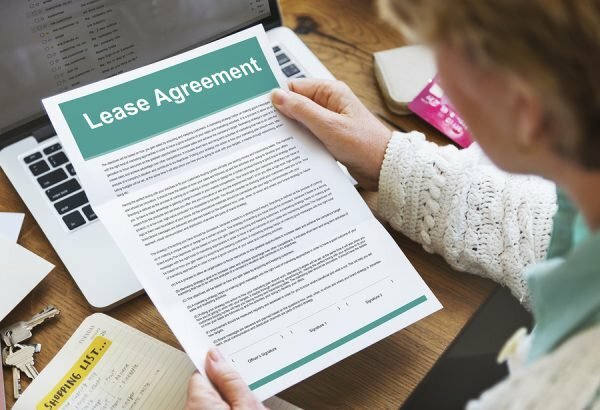 In some states a written lease is required by law, and in some states it is optional. 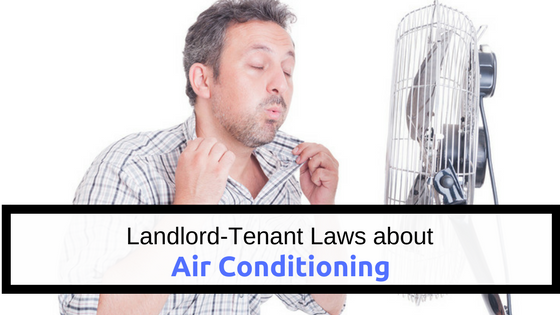 Attorney Alberto M. Cardet practices in Miami, Florida where air conditioning is a “big issue.” He says that “landlord- tenant relationships are very casual until something goes wrong. “Then it becomes a he-said-she-said argument.” As a result, Cardet explains, in many places, including Florida, landlord/tenant law “lives and dies on notice issues” meaning when and how did you let the landlord know the A/C was broken and how long did you wait for him to repair? A good lease will spell out the obligations of both the tenant and the landlord in such cases. Tenants’ organizations or student groups will often have sample leases for review. Knowing in advance what to expect in a lease makes it easier to negotiate. At the very minimum, make sure the lease has full contact information for the landlord and/or management company. A cell phone number alone is not adequate. Make sure you have a postal address, along with an email address, if possible. Ask if there is an office that answers calls 24 hours a day. Who do you call in the middle of the night? Cardet recommends two additional things a tenant can do at the beginning of a rental agreement to lessen the chance of a repair problem later. First, the tenant can request that all major appliances, including the air conditioning, be inspected by a maintenance professional. That way, both parties will have a common understanding about the condition of the provided appliances. Also, if any operational problem or lack of maintenance is revealed by the inspection, it can be addressed at that time. So, what’s a tenant to do? You are definitely not the first person to have landlord troubles, and you are not alone. Most big cities have a tenants’ association, a non-profit organization which provides help to renters. New York City, for example, has at least three: the East Side Tenants Coalition, the West Side Tenants Association, and the citywide Metropolitan Council on Housing. Tenants groups provide a variety of services including information through publications and programs, helping tenants organize within a building, providing free or low-cost legal counsel, and advocating for tenants rights through a legislative agenda. Kellman advises strongly that no tenant should take action against a landlord without seeking legal advice first. There’s big money at stake for the landlord, he cautions, who is running a business. The tenant, who is in “the business of living,” may be inclined to “wing it,” but Kellman says it rarely works out. Common sense or something that worked for a friend or something on the internet may or may not apply in any particular case, and could, in fact, work against the tenant’s best interest. “The biggest mistake I see,” Kellman says, “is tenants who send mean-spirited, threatening letters to landlords which misinterpret the law and the true legal positions of the parties.” Those letters always end up in court, Kellman says, and make a tenant look unreasonable. Then, when the landlord says nicely how hard he tried to work with the tenant – who was uncooperative and inappropriate – the landlord’s position is more convincing. As noted above, state and local law will dictate the specific steps a tenant can take in order to pursue a landlord who is not responding to a known problem. In some states it is OK to withhold rent or to “fix and deduct” but only under very specific conditions. Despite the difference between state laws, some practices apply across all tenant/landlord conflicts. Consult your lease. Re-read the fine print to clarify what the landlord is responsible for and how you are expected to notify the management of problems. Keep a log that documents the history of the problem. After a while, you won’t remember which day you called for the first time or whether it’s the third or fourth time you’ve left a message. Communicate as much as possible in short, polite letters. It is best to send certified letters and keep the receipt of delivery. Keep copies of all letters you send. Always consult a lawyer, a housing counselor, or a consumer affairs advocate before acting against your landlord. Even though it may seem logical to withhold rent or do the repair yourself, doing so can inadvertently hurt your case and reduce your rights. This article was originally published by Furnance Compare and was written by Lisa Oram. You can find the original article here. What is the Implied Warranty of Habitability? NextWhat is the Federal Fair Housing Act? Rentec Direct Contributors are experts in their field as it relates to property management and real estate. If you are interested in writing for Rentec Direct, please email marketing@rentecdirect.com. 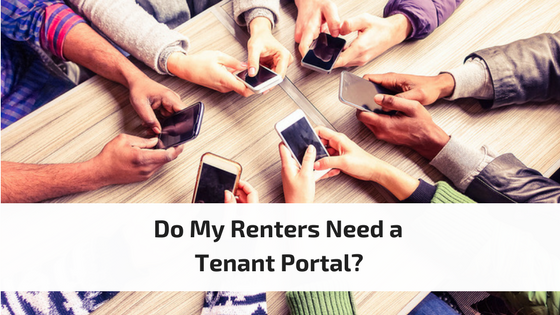 Do I Really Need a Tenant Portal for My Renters? Property Managers Are You Completing The Correct Tax Documents? 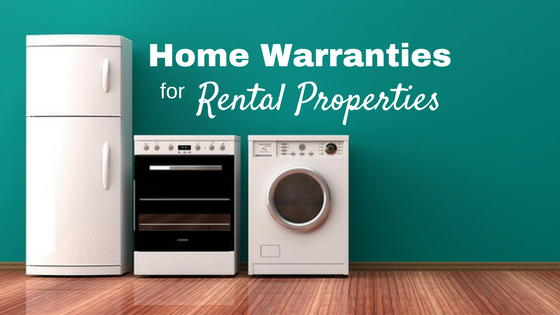 Wondering About Home Warranties for Rental Properties? Great Article: We own a 55 plus adult complex with several units. As it always happens- the AC breaks down during a heat wave on a Friday night without any notice- thats just the nature of the beast. We try to keep the coils clean and we give our tenants new air filters each 90 days at our expense, but when the cool stops- its not always easy to get a technician out to fix the problem immediately , so one backup plan we use is that we keep a extra portable AC unit on hand to put in the rental to help until the unit can be serviced. It shows good faith to our tenants that we care and are responsible. One can purchase a fairly large BTU unit at Costco for about $400.00 . That’s a great temporary solution to a broken AC unit and awesome advice, thanks Dennis! I wish my landlord did this. I live in South Florida and it’s the summer time. Second time it has shut off in not even a full month. The A/C guys told the landlord what was wrong, and that she needed to fix it, but she just had them charge it up. I think that consulting a professional or lawyer is needed too. I think that it is very important to consult or seek advice so that you have a knowledge on how to put action or react. Thanks for sharing these article. Our AC unit in my single family rental has been broken about a week. We called the landlord company and they sent someone out to look at the unit. He concluded that the compressor was broke and that the system was old and would need to be replaced. He stated someone would be coming out in a week to fix. When no one showed we called the landlord and they said someone would be coming, but not to fix it. They were getting a 2nd opinion to make sure it was broke. I live in Southern California and the temps have been in the mid to high 90’s for a good 3 weeks now. We have 3 kids and dogs and it is stifling in our house. Not sure what to do at this point as buying a small AC unit would be a small band-aid as the house is two stories. I am at my wits end. A friend of ours stated that the landlord should give us a prorated portion of our rent off for the inconvenience. Has anyone heard this before? Our landlord is a company not a person so I am guessing it would be much harder for us to request this.